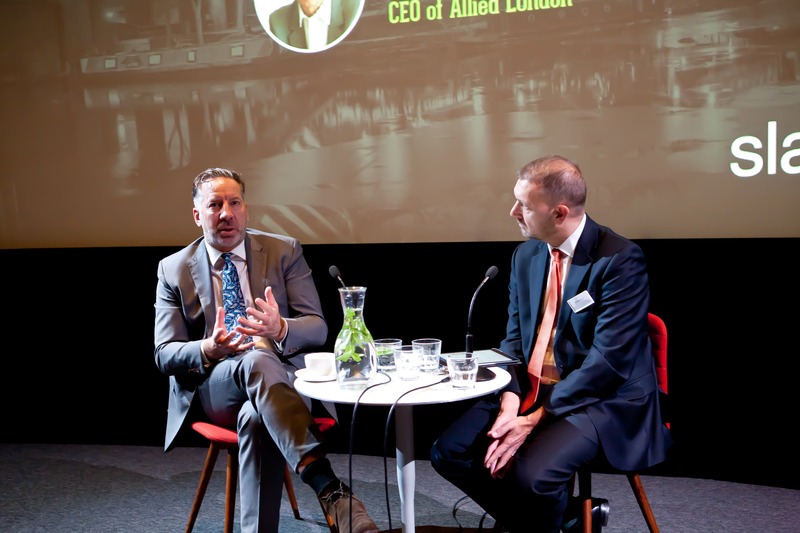 Michael Ingall, founder of property development company Allied London, was the latest guest at ‘In Conversation With’, a series of breakfast seminars run by Slater Heelis. ‘In Conversation With’ is a chance for the business community of Manchester to listen to some of the cities’ most important figures. Journalist Michael Taylor leads the sessions, which includes questions from Michael and the audience. Allied London has been behind some of the most significant property developments in Manchester over the past twenty years. Projects include the Spinningfields business and retail quarter, the XYZ building and the old Granada Studios. Allied London’s latest acquisition is London Road Fire Station, a Grade II listed building which has stood empty since 1986. Ingall has proved to be one of the property development sector’s leading personalities, and has led some of the most successful and iconic development projects in central Manchester. 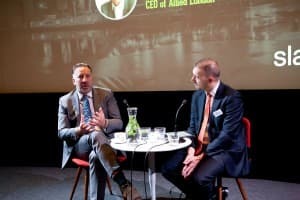 The crowd filled Cinema 2 in the new HOME Manchester cinema, theatre and art space to listen to Ingall discuss Manchester’s development over the past twenty years, including its role in the Northern Powerhouse and the successes and failures Allied London has faced in Manchester.